With a employee training network of nearly 250,000 remote links worldwide, Microspace’s employee training services are depended upon every day by top financial companies, global retailers, weather data providers, and more. Microspace Communications is a leader in the employee training space. Since the late 1980’s, Microspace has been helping businesses worldwide distribute their enterprise content. Microspace provides employee training solutions for 10 to 10,000 locations at up to 98% cost savings compared to terrestrial services. The ability to distribute large amounts of information and a combination of various forms of video and data is an absolute necessity. 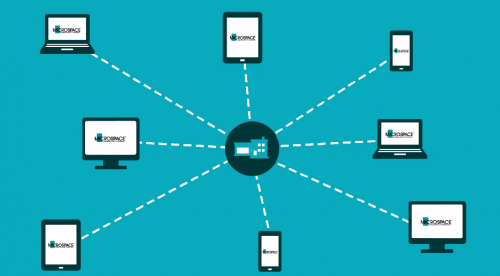 Companies trust Microspace for secure delivery of their enterprise content. Content is encrypted and distributed over our satellite, wireless, or hybrid networks, ensuring that the content reaches only the intended audience. Services like VELOCITY provide data and video broadcast options at a cost that is based on your network’s bandwidth needs. VELOCITY has been engineered to exceed 99.95% availability and is fully scalable, so bandwidth upgrades can be accomplished in minutes. See how we helped a leading financial services company expand their nationwide employee training network. Microspace has the experience, capabilities, and a variety of solutions to reliably and cost-effectively meet your content distribution needs. Microspace maintains a broad partner ecosystem and holds relationships with many of the industry’s top hardware manufacturers to provide a turnkey solution that accommodates your specific employee training needs and requirements. IP Multicast is an extension of Internet Protocol that allows simultaneous one-to-many distributions of IP Data. IP Multicast, coupled with Microspace’s VELOCITY, provides a reliable, high bandwidth conduit for streaming video or multimedia file delivery. The technology dramatically conserves bandwidth requirements for Microspace clients. Terrestrial networks typically utilize unicast technology which not only requires more bandwidth but slows down the delivery of content to the remote sites.